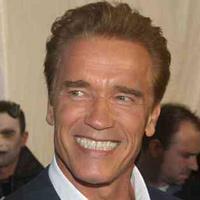 Arnold Schwarzenegger (actor and politician). He/she was born on 30 July 1947, his/her birthplace is Thal, his/her country is California, its oscars is 0 , its golden globes is 1 , its golden globes nominations is 2 . There is information in Classora Knowledge Base about 8 rankings, reports and surveys.